A 33-year-old man is going to have to learn to use his seat belt, the judge said last Wednesday at Craigavon Magistrates Court. Wiktor Wlodarczyk, whose address was given to the court as Union Mews, Lurgan, was fined £100 and given three points for failing to wear his seat belt. He was also fined £100 and ordered to pay a £15 offender’s levy for failing to produce his driving licence. 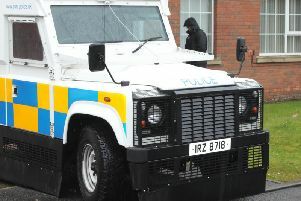 The defendant was stopped by police on the Old Portadown Road in Lurgan on June 29, 2016, and asked to produce his licence. Mr Peter Murphy, representing Wlodarczyk, said his client had just jumped into the van and already had three points on his driving licence. District Judge, Mrs Bernie Kelly, on hearing that the defendant had a previous similar conviction said he was going to have to learn to put his seat belt on.